ilene has become such a sweet friend of mine and i'm hoping i get to meet her in person at creative estates conference in april! i think we're pretty much kindred spirits ((i feel like such a hippie when i say that)) and it's so refreshing to get emails and tweets from her saying "praying for you today." i appreciate her so much! i've bragged about her a lot...for example here & here. her shop, much love illy, is full of goodies, including rings, earrings, corsages, clips/bobbies, and my favorite, poppy headbands! ilene is so sweet to give away a $20 store credit to her etsy shop! you will have lots of fun with $20 in her shop. promise. her stuff is so affordable, but awesome quality! 1. head on over to ilene's shop & leave a comment with your favorite item from her shop. not your grandma's kind of gold poppy hair charm"
I like the "single rose in the city" ring. Loving the crushing on you poppy garland headband...so pretty! In love with every one of Ilene's headbands! so many lovely things! my fav. is the cranberry kisses headband though. YES! 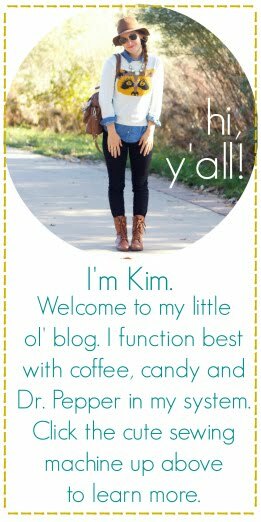 i was hoping you would do a much love, illy giveaway! the headband i wanted must have already been sold so my new fave is the turquoise twilight one! WHOOP! i adore sailor of my dreams poppy head band. such cute headbands! the nautical blue poppy hair charms are beautiful! what a cute shop! Ack!!! I LOVE Ms. Ilene!!! She is so talented and I LOVE her Etsy shoppe!! My absolute favorite is the just friends poppy garland headband!!! My daughter would love the cotton candy rosebud earrings. I love the "just friends" headband! I like the Vast as the Sky earrings. love the midnight elegance headband! simple, black, charming! I love the woodland fairies clips. i love the mint green large rose earrings! The While the world is sleeping poppy headband is precious!!!!! love her stuff! Woodland whisper is my favorite! The "Crushing on You" Poppy headband is definitely my fave! So many lovely things to choose from in that store! Fabulous finds! I love the Single Rose in the City ring. Love the "wishing for tomorrow" olive green headband! 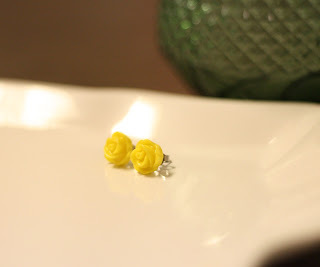 Any of the rosette earrings would be my favorite! chocolate pumpkin mousse poppy garland headband is my fav. For sure. I love the bobbies you have pictured. LOVE EM! I love all of her fall poppies!! Too cute! I love her Sweet Vanilla Crush headband. I am loving the burgandy "cranberry kisses" headband! Been waiting for this giveaway! I must have the cranberry poppy headband! Fav! luv the starry starry night headband! loving the walking in the rain! ilene's stuff is the best! love the single rose in the city ring! I LOVE the sage green poppy garland headband! I could think of like 37 outfits it would go with. "walking in the rain" is definitely my favorite! So cute. 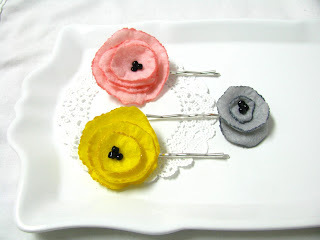 I love the rings and the spring pins! she has the cutest pins and headbands! love the chocolate mousse headband! wishing for tomorrow olive green poppy headband is my fave! ALL of her poppy headbands are adorable! I love the sweet vanilla crush poppy headband! I like the Midnight Strawberry headband - Ilene's shop is so cute! Most definately the vanilla crush headband! golden rod poppy garland headband. my goodness, to die for. Love Ilene!! :) While The World Is Sleeping is my absolute favourite! And I tweeted! :) Hllly. the woodland fairies poppy hair charms are so pretty! Would look great in some Christmas pictures this year! It was hard to pick just 1 favorite! 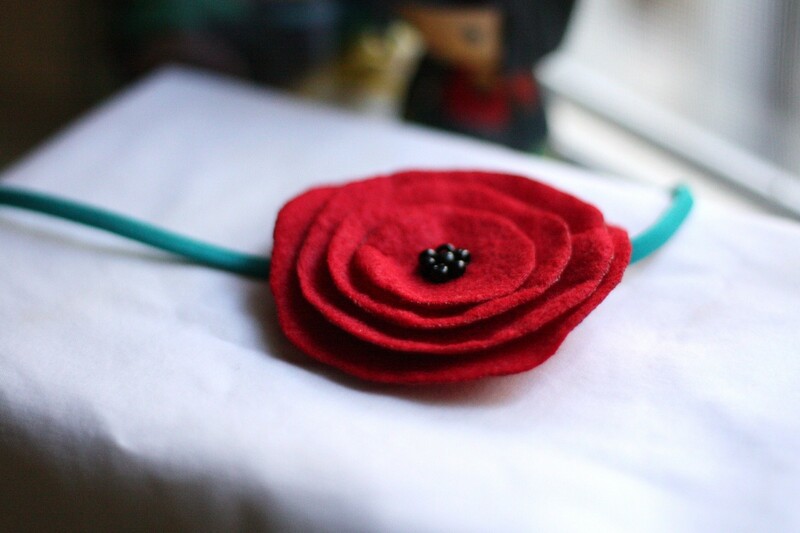 I love the true love red poppy corsage! My fave are the angel blue large rose earrings. the sailor of my dreams poppy headband is my favorite - but i really love them all!! vanilla crush... my new crush! super cute. ooh, I loves the "evening whispers poppy garland headband." Love all her stuff! i love the mint green rose earrings. Love the Sailor of my Dreams Poppy Headband!! So gorgeous!! Greetings! What an awesome giveaway! I loved her "break of dawn poppy garland headband!"